Once you get to daycare, be sure to fully communicate with staff. Does your pup seem to be in a mood today? Did they get into a little tussle at the dog park over the weekend? Do they have a newfound obsession with balls or toys? Has their health or behavior changed at home? 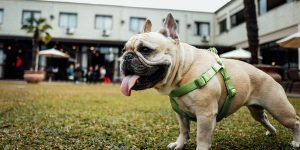 Tell the daycare staff these things always – trained professionals, like Dogtopians, know to adjust and avoid situations to ensure your pup has The Most Exciting Day Ever! Going to doggie daycare is very exciting! Your pup knows it is going to have a great day, and as such will have extra energy as you get to daycare. But, if your pup is too excited – dragging you out of the car, jumping to say hello to every two-legged friend they meet, and so on – they aren’t going to behave in daycare. One helpful tip: have your dog sit five times between the car and the front door. If they start to pull, say no and stop. This brings their mind back to focus before they go play with their BFFFs (best furry friends forever). It’s hard not to be excited to see your pup at the end of the day. But remember, as you get more excited, so will your pup. This could cause them to bark, yank on the leash, or jump. Correcting them for this behavior sends confusing signals since you got them excited in the first place. Instead, stay calm and play it cool when you see your pup. A nice scratch and calm hello will make for a nice ride home together. 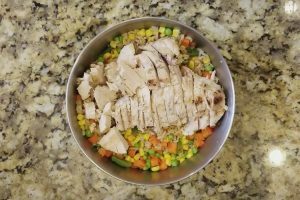 With Dogtopia, your furry family member will learn how to be a well-balanced pup. 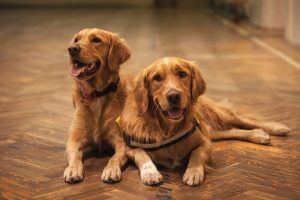 Each new dog gets a report card at the end of the day detailing their behavior, who they made friends with, and how well they interacted with the team and other dogs. We also provide our regular customers with frequent updates on their dog’s temperament. We promise to treat your furry friend like a member of our family. 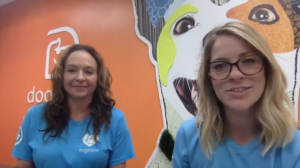 Learn more about Dogtopia’s daycare options today!